Zeke had migrated to the U.S. from Mexico with my father-in-law and the rest of the family and settled in Watts. Not all of my in-laws’ memories are idyllic. They remember family members being racially profiled and accosted by white police officers, and a community deeply affected by poverty, economic marginalization, structural racism, isolation, and disinvestment—the frictions that would soon erupt in the Watts Riots of 1965. But Zeke and another uncle, Carlos, have always insisted that their childhood experience wasn’t defined only by these hostilities. They say they loved growing up in Watts and the sense of community that permeated their childhoods. From that sense, and that place, their family would rise. Much attention has been given to South L.A.’s transition in recent decades from majority black to predominantly Latino, a transition Zeke and Carlos experienced firsthand. But the Latino presence in the area—Watts in particular—stretches back much further. The town was originally part of a Mexican land grant, El Rancho La Tajuata. After the Rancho was sold in the 1880s, some of the earliest residents were traqueros, the Mexican-origin workers who built the Southern Pacific Railroad, the tracks of which border Watts along Alameda Street. As Watts’ Mexican-origin community grew, it was sustained by San Miguel church, which opened its doors in 1928 in the center of the Mexican district. My father-in-law, Manuel, and his six siblings were young children in the 1960s when they migrated from tiny Jalostotitlán in northeast Jalisco with their mom, Cele. Their father, Juan, had already been living in Watts’ Mexican district for nearly a decade, having ventured north to work alongside compadres who were already living in the town, his daughter, Rosa, told me. They helped Juan find a job as a carpenter and upholsterer at a furniture store on Alameda Street, next to the railroad tracks built with the labor of their Mexican forebears. Eventually, his employer agreed to sponsor his legal residency. Such a simple act, but it was everything. In an immediate sense, it meant Juan’s family could reunite—legal residency enabled him to secure visas for his family to migrate north. In the long term, what we now know—from a growing body of research, including my own on the Mexican-American middle and upper-classes—is that parental legal status is the one thing above all others that can pull families up out of poverty, helping elevate social status, income, education, you name it. In 1965, Juan sold the family home in Mexico and began looking for something suitable in Los Angeles. In August of that year, racial and economic tensions reached a breaking point and the Watt Riots erupted. Over six days, 34 people were killed and more than 1,000 injured. There were thousands of arrests and tens of millions of dollars in damage. Despite the riots, the family had found community in Watts, especially in the San Miguel parish. … parental legal status is the one thing above all others that can pull families up out of poverty, helping elevate social status, income, education, you name it. Watts was one of the few areas where minorities could buy real estate. And so that year Juan purchased a house on Weigand Avenue in Watts, a block from the railroad tracks dividing it from Lynwood. Also in that year, San Miguel Catholic School opened its doors and Juan and Cele enrolled their youngest children. In exchange for tuition, Cele, who was widely known as a community leader, made hearty breakfasts of menudo for the parishioners to enjoy after Sunday mass. Despite the discrimination, and despite their lack of material wealth, Juan and his family were the beneficiaries of a community that helped them build a foundation for future generations to build on. He owned a home, had a stable job, enjoyed a sense of community with his neighbors that centered on the church, and his family had attained legal residency. 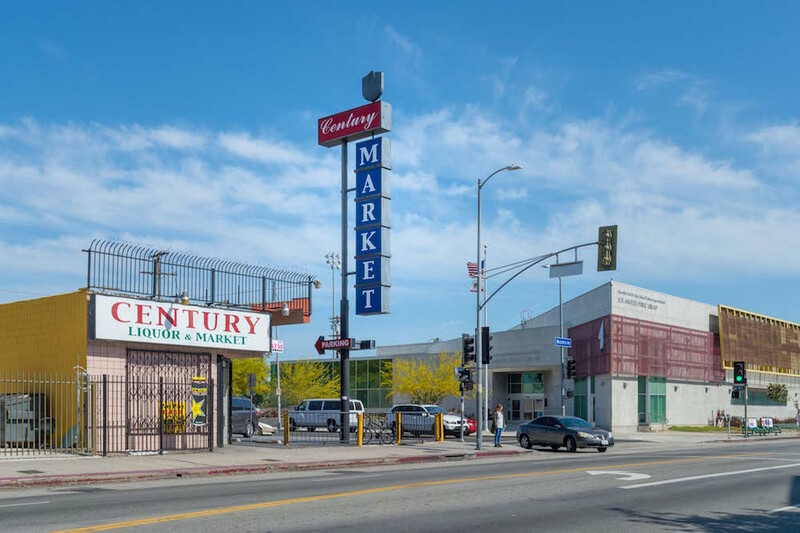 Around that time Zeke and Manuel opened a Latino grocery store—the first in what would become a modest chain—also in Lynwood but on the border of South Central. The brothers had stable working-class jobs at the time, but they knew that, if successful, business ownership would increase their incomes, wealth, and class status. It also helped root them to the community. Today, many of Juan’s grandchildren—the adult children of the 11 siblings, the second and third generations—have surpassed the class status of the generation before them and are middle class. They are entering and graduating college. Several have earned advanced degrees. They work as teachers, school principals, and in corporate management. Those who have not attained college degrees still have some level of higher education and have secured high-paying white-collar jobs. The family remains rooted to the community. The house on Weigand is still in the family. And though she had moved out of Watts, Rosa would drive her children everyday to San Miguel Catholic School. Just a few weeks ago, Cele, the matriarch, passed away at 88 years old. At her funeral service, nine priests from South Los Angeles, including a few from San Miguel Parish in Watts, cleared their calendars to attend her mass. That’s not nostalgia. It’s the result of a strong community foundation. Born alongside baseball and community institutions in Watts. Jody Agius Vallejo is Associate Professor of Sociology and Associate Director of the Center for the Study of Immigrant Integration at USC.